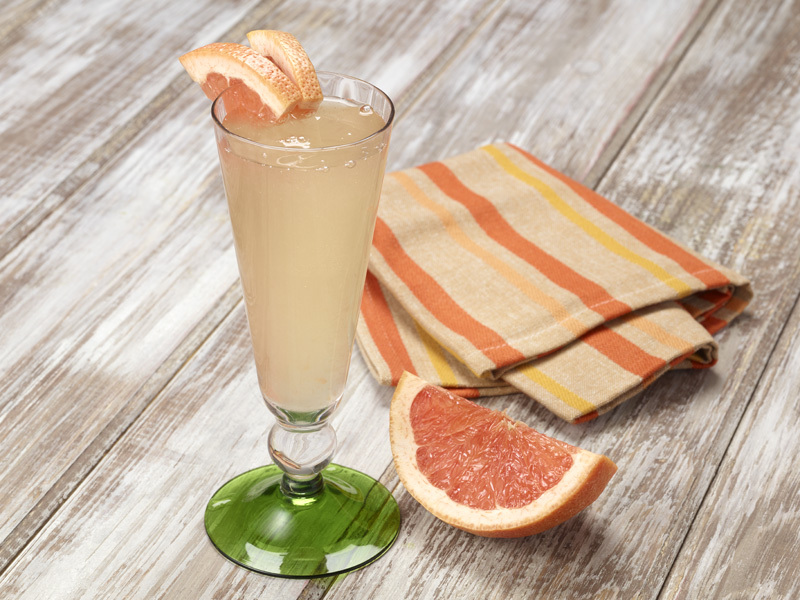 Pour the grapefruit juice and Domain de Canton in a champagne glass. Gently pour the prosecco over top until glass is nearly full. Garnish with a grapefruit wedge.